This wild pet spawns in Winterspring but only during winter months. Although it was first spotted November 1, 2012 and continued to spawn until March 1, 2013, Blizzard has since changed the spawning of this pet to correspond with the Northern Hemisphere real-world seasons. This means the Snowy Owl will begin spawning at the start of the winter solstice. Been hunting them most of the day with no luck. Are they a 2nd to any of the others in the zone or the primary? It is tied to the real world seasons so whatever day your calendar lists as winter solstice is when they pop. They are up right now. On another thread, it states that the Snowy Owl pops between December 21sts and March 21st only ... during winter months. Plz verify and fix information? December 1st. I've been here about an hour and killed LITERALLY every pet in the entire area, then flew around 2 more times. Not a one here. I believe the rumor of a December 1st spawn is wrong. Now granted I didn't get a rare, but with battle stones as easy to get as they are that wasn't a big deal to me. Best of luck! Starting at about 11 am Dalaran time I began battling Snowy Owls. On the 7th battle I managed to get a B/B Uncommon and called it a day. On my way toward Timbermaw I ran across Owl #8 and "What the heck!" I went for it. A Rare P/B popped up. I have to give the Pet Tracker addon a big thumbs up for my success. I was following the map and "connecting the dots' (spawn sites). Thank you for including addon information in your guides. These were all over right after server restart- if you can wait until the next restart you will have your pick managed to get an uncommon one that was right in front of me after logging in after restart, flew around just to see if there were more ran across 5 or 6 easily, good luck! As of 2 hours 15 minutes ago these flyers officially started spawning on ALL European realms. Get out there and start taming! First comment since March. Dropped by in the crazy hope there was some secret way to geta Snowy Owl before December 1st, but I guess not. Only pet left for my Kalimdor Safari. I was very excited to finally find one of these, start the fight, and see that it was a rare. First one I found. Then an untimely crit killed it robbing me of my prize. The next morning at 6:30am server time, I found half a dozen in less than an hour. I suspect getting on when noone else is around is the way to go. No rare for me yet but I have an uncommon and I'm ok with that. 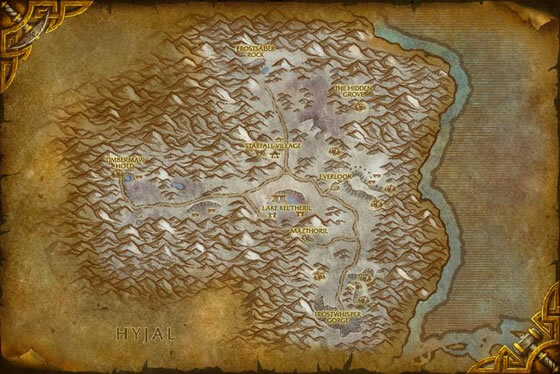 Went around Winterspring 2 times found 4 1 uncommon 1 common 2 poors, kept uncommon and common. Just captured mine on Undermine 2:20pm server time. It was a common but I will take it. Took circling the zone twice to find and was finally located at 24.2, 59.3 just east of Snowden Chalet. Keep looking they are out there. I finally picked up a UC B/B today; should I use a Flawless Battle Stone to upgrade it or save the battle stone and just hold out for a rare? Found my first one after many days and it was rare :))))))))))))))))))))))))))))))))))))))))))))))))) I guess Monday mornings are good for something. 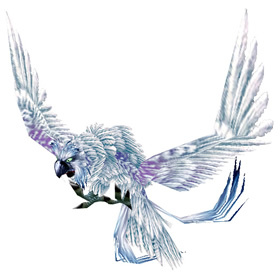 Winterspring's furbolg prize the brilliant white feathers of these majestic creatures for ritual purposes.